Michael Dickinson has been acquitted of all charges relating to his collage Best In Show. However, he now faces similar charges in relation to a new work, Good Boy, again portraying Turkish Prime Minister Recep Tayyip Erdoğan as a dog. 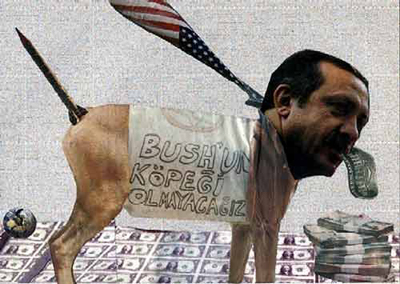 Last year, another Turkish cartoonist was fined for portraying Erdoğan as a cat. Himpe is an advertising copywriter, and his book is primarily a manual for other creatives on how to produce distinctive campaigns. For general readers outside the industry, the book's illustrations of specific adverts serve as the first detailed overview of this new field of graphic design. Advertising Is Dead's only serious rival is Guerrilla Advertising, from increasingly interesting art publisher Laurence King. However, its selection of examples is far less interesting than Himpe's (the only exception being Red Bull in Worms 3D, the first example of computer game product-placement, which is covered in Guerrilla Advertising though not by Himpe). The book organises its examples into a series of fascinating categories, including Intrusion (unconventional spaces, such as the Hans Brinker hotel logo pinned to dog excrement on the street), Transformation (metamorphosis, for example the Volkswagen ice sculpture parked in London for a day), Installation (a huge pile of empty plastic bottles in Cape Town, resembling a scene from the Thai film Citizen Dog), Illusion (trompe l'oeil effects, such as a Nike poster whose perspective matches its surroundings), and Sensation (campaigns which interact with our senses, as in the cinema air-conditioner suffused with Panettone in Brazil). 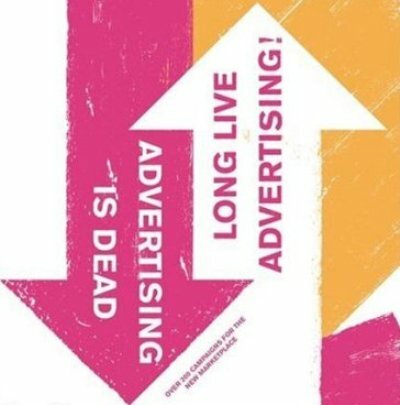 Advertising Is Dead is not a definitive survey of ambient/guerrilla campaigns, though it is the first detailed study. The examples occupy the majority of the book, with little real analysis or history. (A comprehensive account is yet to be written; indeed, there has not yet been a comprehensive history of advertising in general published so far.) As a sourcebook of illustrations, it's unsurpassed, although my favourite example is sadly not included: the Puma contact-lenses worn by Linford Christie in 1996, surely the most ingenious instance of branded space. In January, Fresh Baked Video Games, a programme on American channel Spike TV, created a trailer for a fake computer game called Holy War, in which various religious figures fight to the death. One sequence showed Mohammed defeating Mormon founder Joseph Smith, and another featured Moses beheading Mohammed. The Holy War sequence was broadcast after the Jyllands-Posten Mohammed caricatures were published, though before their international condemnation. 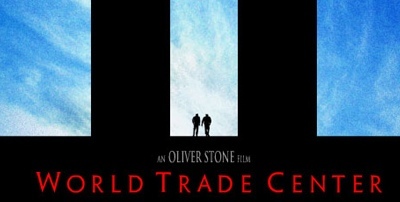 World Trade Center is Oliver Stone's take on the New York terrorist attacks of '9/11' (11th September 2001). Stone is really the only director with the pedigree for such a project, as he has previously tackled major American political events such as the Vietnam war (Platoon and Born On The 4th Of July), the Kennedy assassination (JFK), and Watergate (Nixon). The difference this time is that Stone's film has no agenda. He is at his best with provocative historical revisionism, most notably in JFK, though with World Trade Center he takes no stand and instead depoliticises his subject-matter. Kubrick once commented that although the Holocaust involved the deaths of millions of Jews, Schindler's List was instead about hundreds of Jews who survived. The same argument can be used in the case of World Trade Center: 2,602 people were killed in New York, though the film is primarily about two people who lived. The film does not successfully convey the scale of the devastation in New York and across America. The impacts of the planes and the collapsing of the towers are not depicted in the film, perhaps because of the ubiquity of such images in the news media. The film would be dramatically improved with the omission of two short (and cliched) sequences. A montage of peoples from various countries and cultures, all watching open-mouthed as the towers collapse on CNN, propagates the rather offensive notion that the attack on the World Trade Center was an event which shook the entire world. Other countries are facing indirect repercussions, such as increased security, though the tragedy of 11th September was largely an American tragedy. Also, when one of the trapped men slips into unconsciousness, we actually see his vision of Jesus, bathed in white. Idyllic flashbacks are one thing, though Jesus and the tunnel of light represent a step too far. The Danish political party Dansk Folkeparti asked a group of students to draw Mohammed cartoons, in a parody of the Jyllands-Posten Mohammed caricatures. The event was filmed by Martin Rosengaard Knudsen as part of his (racist, anti-immigration) Defending Denmark campaign, and was broadcast on television by DR last month. 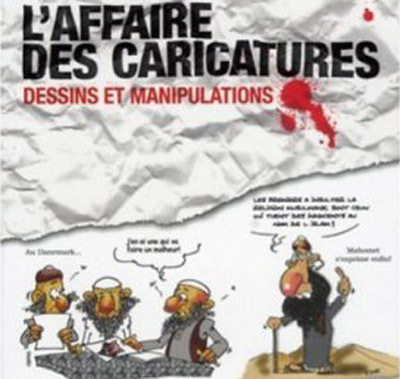 L'Affaire Des Caricatures, a book by Mohamed Sifaoui about the international reaction to the Jyllands-Posten Mohammed caricatures, has been published in France. It includes a new cartoon of Mohammed on the cover. We have just heard that there has been a military coup against the government in Bangkok, led by army chief Sonthi Boonyaratglin. The army has taken control of Government House and is also controlling all TV stations. The coup appears to be an act of support for the King by the army, which thankfully suggests that it will be non-violent. 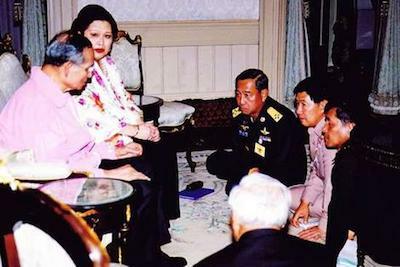 Thaksin Shinawatra was able to broadcast a brief message on Channel 9, declaring a state of emergency, before the army took over the signal. However, as he is currently at the UN in New York, Thaksin's influence in Thailand is now practically non-existent. 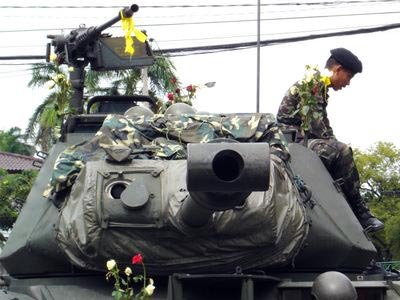 Thailand has a long history of military coups, though the last one was more than a decade ago and there had been progress towards a stable democracy. Yet another coup is the last thing Thailand needs, though an army spokesman has appeared on TV to assure us that they will return power to a democratic government as soon as possible. 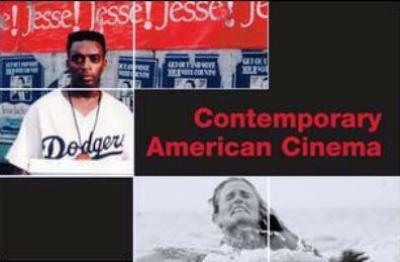 Contemporary American Cinema, edited by Linda Ruth Williams and Michael Hammond, is the first book to attempt a truly comprehensive examination of post-classical cinema (that is, American filmmaking since 1960, after Hollywood's golden age). The book implicitly positions itself as an unofficial sequel to The Classical Hollywood Cinema (by David Bordwell, Kristin Thompson, and Janet Staiger). It was only published this year, so only time will tell if it can earn as high a reputation as Bordwell et al., though it does gain instant significance as the first study of its kind. Of the book's contributors, only Kim Newman really stands out, though co-editor Linda Ruth Williams and her husband and co-writer, Mark Kermode, are also excellent writers. I can't help but contrast Contemporary American Cinema with The Oxford History Of World Film, whose format is similar though whose collection of contributors and essays is far superior. That may be an unfair comparison, though I make it only because, in their introduction, Williams and Hammond say that they commissioned "some of the best film writers and academics in the world" to write "a series of first-class essays". Although it was written as a university film studies textbook, complete with suggested essay questions, it can also be read as a work of general film history. As a survey of trends in American cinema circa 1960-2000, it's a unique and important book. Blue Peanuts is an obscure short film which was originally distributed on VHS alongside Apocalypse Pooh. It features a Peanuts cartoon hilariously overdubbed with Dennis Hopper's profane dialogue from Blue Velvet. Apocalypse Pooh is a combination of Apocalypse Now and Winnie The Pooh & The Blustery Day: clips from the cartoon set to the film's soundtrack, and vice-versa. So, Winnie becomes Martin Sheen's Willard, Piglet becomes Dennis Hopper's manic photojournalist, and Marlon Brando's Kurtz becomes Eeyore. It was directed by Todd Graham in 1987, and has circulated on VHS. It's arguably the first-ever Mashup film, as it synchronises audio and video from two different sources; it can even lay claim to being the first AMV (anime music video) avant la lettre, as it includes Winnie flying a kite set to Satisfaction by the Rolling Stones.